Open from sunrise to sunset, except for lighted ballfields that close at or before 10:30 p.m. 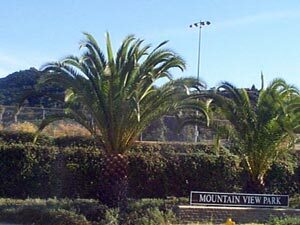 Prior to development, Mountain View Park, located on Citrus Avenue and Glen Ridge Road, was an income-producing avocado and orange grove. The City of Escondido purchased it in May 1985, in order to provide a recreational area for the growing community in the eastern area of the city.